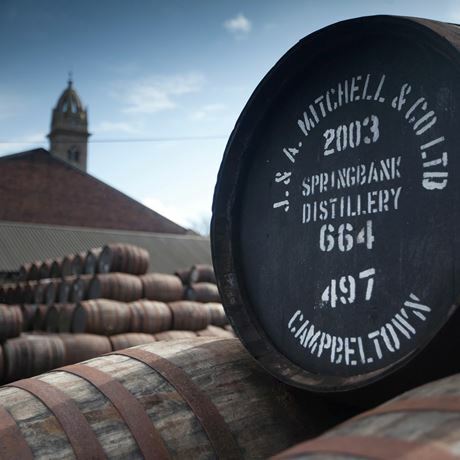 Springbank is the only distillery in Scotland to malt, distil, mature and bottle on the same site. It manages to do this while operating a highly complex distillation regime, which creates three different styles. The equipment at Springbank is resolutely old-style: an old Boby mill, an open-top cast-iron mash tun, wooden washbacks made from boatskin larch; and three stills, direct fire on one of them, a worm tub on another. The malt is handled in three ways to produce three contrasting whiskies – Springbank itself is medium-peated, Longrow is heavily peated, while Hazelburn has no peat at all. Ferments are very long – in excess of 100 hours; with low-gravities which both produces a low-strength wash and high levels of esters. This fruity base is then distilled in three different ways, depending on the style being produced. Springbank is partially triple-distilled. 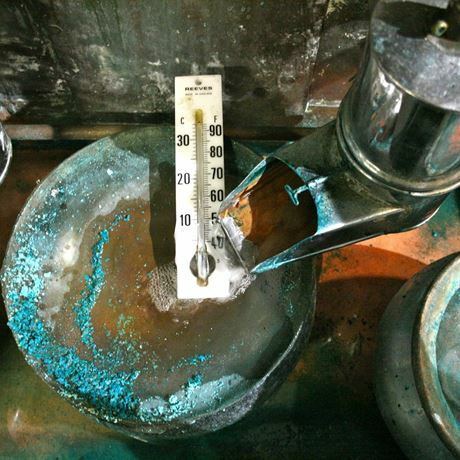 The wash still (which is direct fired) works as normal producing low wines, the strongest portion of which are directed to the spirit still charger. The remainder is redistilled in the intermediate still (which has a worm tub) and put into the feints receiver along with the heads and tails from the spirit still distillation. This mix makes up 80% of the final charge, with the strong portion of low wines from the wash still making up the remaining 20%. 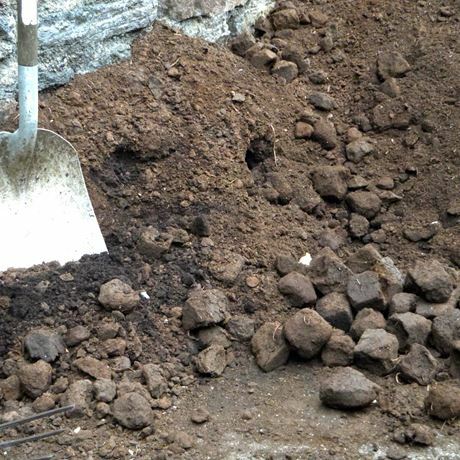 Unsurprisingly, the result is a highly complex new make that is collected at an average strength of 71-72% – lightly smoky, oily, fruity, delicately fragrant yet powerful. Longrow is heavier and smokier – the malted barley obviously playing a significant part, but so does distillation in the direct-fired wash still and second distillation in the spirit still which has the worm tub. It is collected at 68%, lower than Springbank. Hazelburn undergoes standard triple distillation and is collected at between 74-76% abv. Maturation for all three is in a mix of casks – as well as the standard ex-Bourbon, ex-Sherry and refill, other types [wine and rum] and sizes [60 litre ‘rundlets' and 50 litre ‘kilderkins’] are used. Continuity is the watchword at Springbank. This distillery has been in the ownership of the Mitchell family and its ancestors since 1837. Indeed, as its founder William Reid was related to the Mitchells by marriage you could argue that they were there from the word go. It was in 1828 that Reid took out a licence, but there was a rich – and extensive – heritage of illicit distillation in the Kintyre Peninsula. Indeed, thanks to the Still Books of Campbeltown plumber and coppersmith, Robert Armour, we can accurately chart how many there were. The books show that Armour made 400 sma’ stills from 1811-1817, bringing him an income of £350 per year, and the surnames Reid and Mitchell appear in his detailed accounts. Like many smugglers, Reid didn’t survive long once he joined the legitimate trade and in 1837 he sold to his in-laws John and William Mitchell. 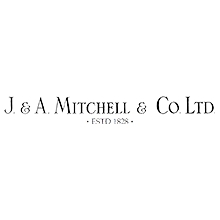 The latter brother left in 1872 to join his other two brothers at Riechlachan, at which point John’s son Alexander joined Springbank [hence the J&A Mitchell still on the label]. 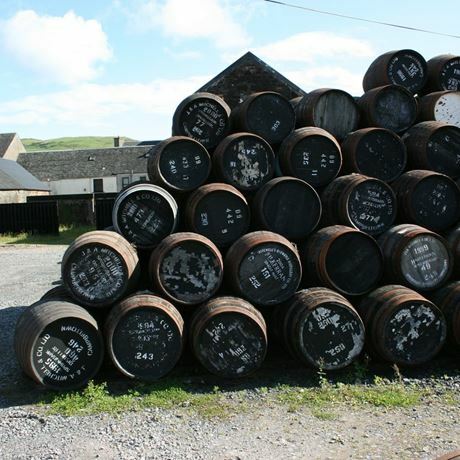 The 19th and early 20th centuries were a boom time for Campbeltown. Thanks to a fast sea crossing to Glasgow and a small coal seam at nearby Machrihanish it became Scotland’s whisky capital. At some point or other there were 35 distilleries operational. The style tended to be medium- to heavy-bodied, with some smokiness and an oily texture (though each distillery would work its own variation on this theme). The distilling trade, however, collapsed in the 1920s. 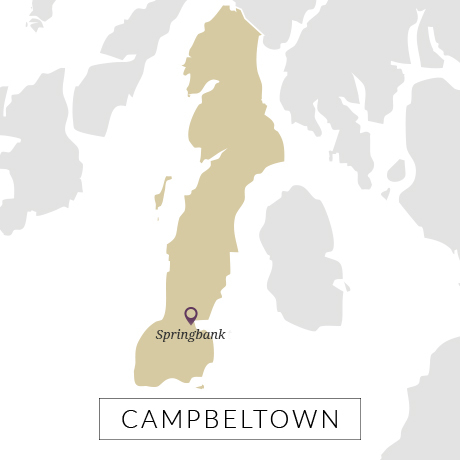 All of Scotland was affected with 50 distilleries closing, but Campbeltown was disproportionately affected, with only Springbank, Glen Scotia and Hazelburn surviving the Great Purge. By the 1960s only it and Glen Scotia were left. That is not to say it was not immune to the vagaries of the whisky trade. Despite beginning to build a reputation as a single malt. Springbank was mothballed between 1979 to 1987. On reopening, owner Hedley Wright [John Mitchell’s great-great grandson] made the momentous decision to no longer sell to blenders, but develop single malt sales. 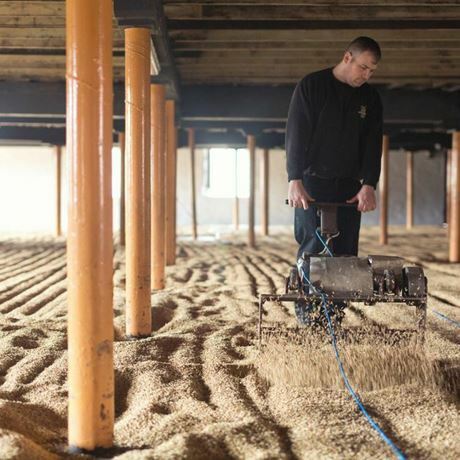 Maltings were re-opened in 1992 and while the combination of managing limited stocks – the result of the mothballed period and somewhat over-eager sales of what was left – it has taken a number of years to get the Springbank range fully balanced, which now it is. It remains, deservedly, one of Scotland’s cult malt whiskies and a template for many new distillers. Scottish origin barley local to Campleton or East coast.